The 11th Star Parivaar awards was held at the YRF studios in Andheri, a western suburb in Mumbai, on June 13, but will be telecast on Star Plus this weekend. Actress Devoleena Bhattacharjee was one of the performers of the evening. Click here to see the red carpet arrivals. Star Parivaar Awards will be aired on July 13 at 8 pm on Star Plus. 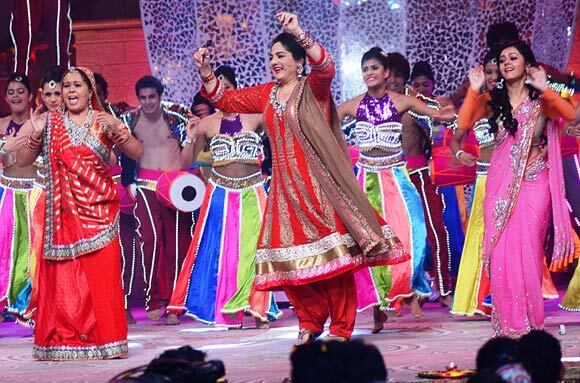 Disha Parmar aka Pankhuri of Pyaar Ka Dard Hai and Sneha Wagh aka Ratan of Veera perform Shades Of A Woman, with dancers from Shaimak Davar’s troupe. The narrative was provided by Union Minister for Communication and IT Kapil Sibal. 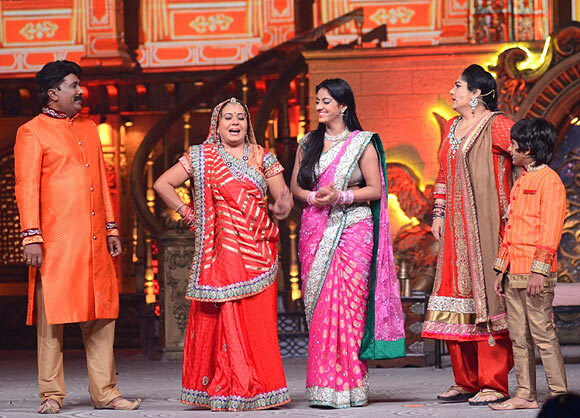 Ashok Lokhande, Neelu Vaghela, Deepika Singh and Shagufta Ali perform at the awards show. 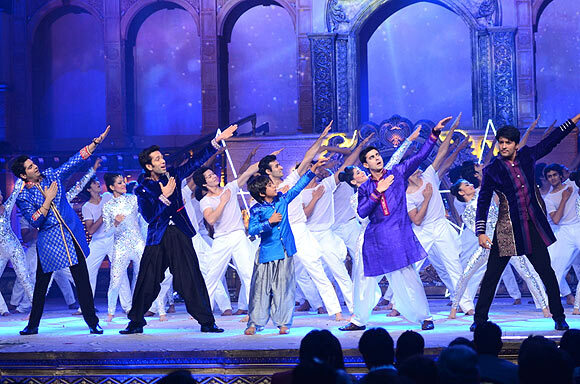 Karan Mehra, Nakuul Mehta, Gautam Rode and Anas Rashid perform at the awards function. Neelu Vaghela, Shagufta Ali and Devoleena Bhattacharjee sizzle on stage. Prakash Jha's HOTTEST item girl? VOTE!